It’s 7:00 am, and it’s time to head out for our first project. 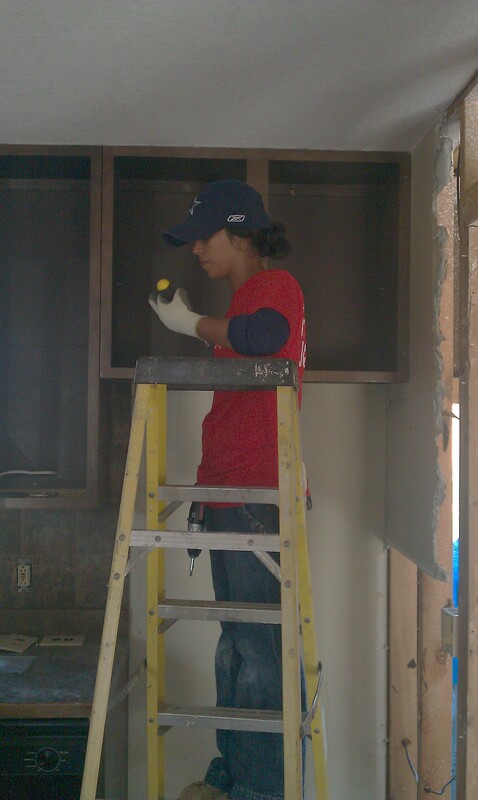 We will be doing demolition on a kitchen and replacing a roof on one of the homes. We pile in the van’s and begin our drive to the job site. The destruction zone quickly emerges, and we are all still in awe at the extent of damage. 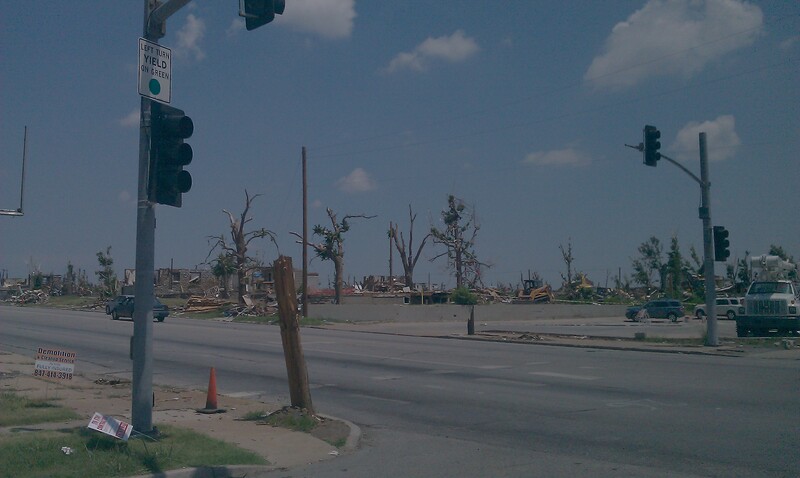 It is evident that much has been done in the month and a half since the tornado in the way of clean up. We are told later, that roads were impassible at one time. We see towering trees that are stripped bare. Some of the trees still have pieces of debris such as twisted metal wrapped near the tops. 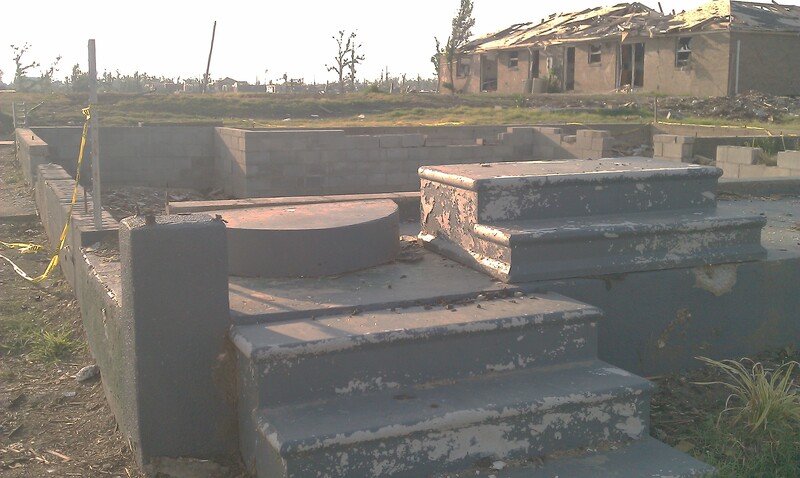 Entire neighborhoods are wiped clean off the land, and whatever homes remain in the path of the twister must be torn down or have extensive damage. We are realizing how sovereign and in control God. We arrive at the home we are to work on. It is amazing to see how much damage this home has compared to other homes around it that seem untouched. The home owner is out of town while we work on the home. 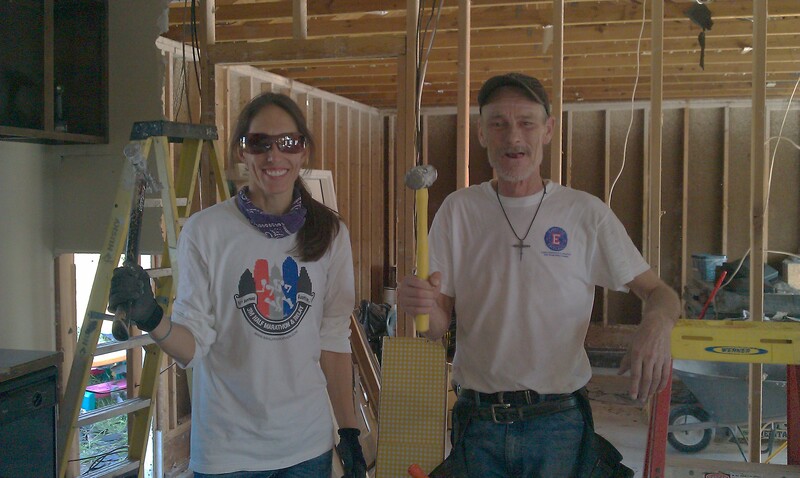 We learn later that he alone has been gutting out the home for the past five weeks, and has done the majority of the work so far. Exhausted, he persuaded to take a break, and let us take of the work. We divide into 2 teams, 1 tackles the roof, and the other will demolish the kitchen. 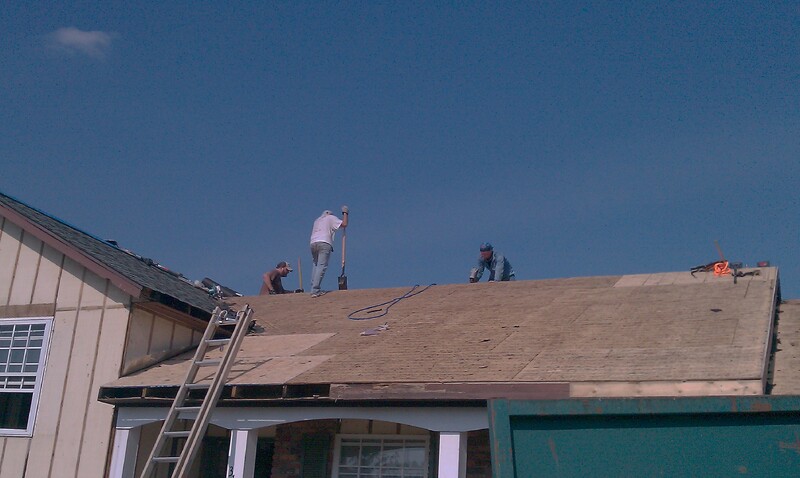 The roof team has 2 days to strip, and replace a huge sections of the roof. Although, Bernie is a general contractor, and a few other guys have construction experience, there are no roofers on the team. I get to do demo in the kitchen which quickly becomes hot, and dirty. Damion with the Soma church heads up the demo crew. He is an older man, very knowledgeable, and a very hard worker. Even with back pain, he can run circles around me. With the exception of a few people, none of us have this kind of experience. Everyone is in good spirits, focused on completing the task at hand and working hard. We listen and Damion gives us directions. He watches out for our safety, and take care of everyone. We eventually have to take advantage of the respirator masks we brought with us as the dust & fiberglass insulation thickens the air. 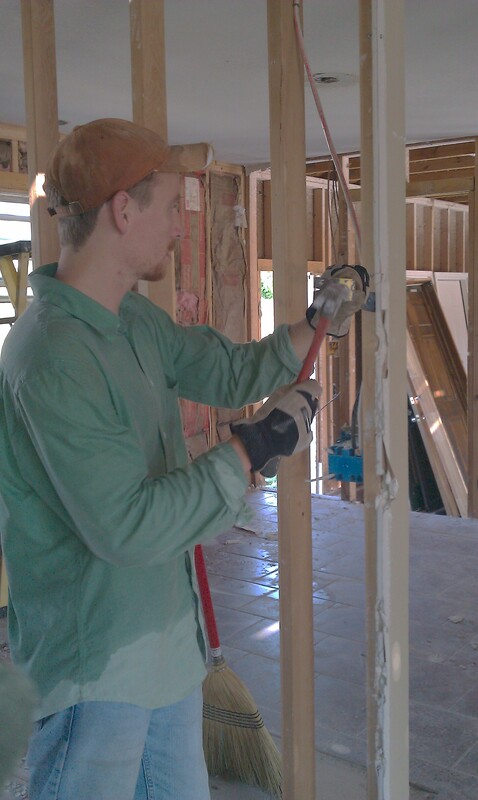 We work quickly and are able to save the counters for the homeowner. We finish the demo job about mid-day. The roof crew stays and we head back to the church to find a new job. Each run to the church and back takes us around the damage zone. Devoured is the only word to describe. 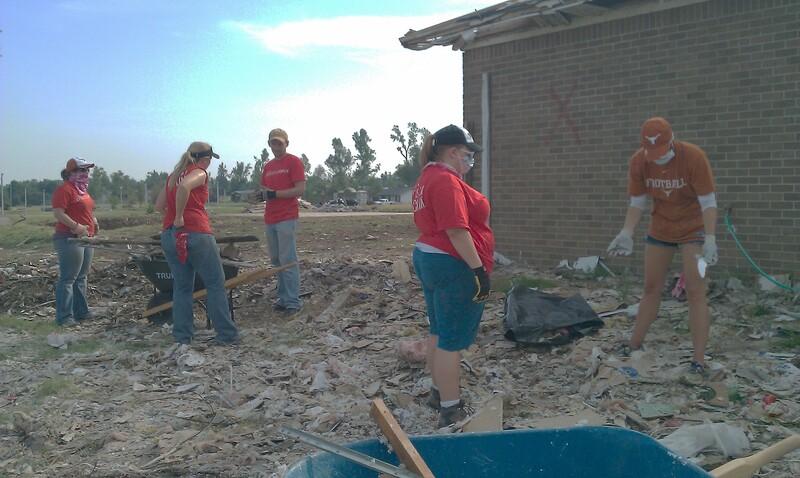 Demolition continues, and we see church groups everywhere helping. It is awesome to see the Church there, and operating. The next job will be debris removal. It turns out that the city will only pick up sorted piles from the curb. Most of the area impacted contained apartments, and rental homes. It turns out that insurance does not cover demolition and debris removal. In addition, there is a deadline for Federal dollars and how they are used. So every amount of debris removed voluntarily helps greatly. We arrive at the site, and it appears to be mainly duplexes in this area with a park across the street. The duplex will be torn down completely, and is not safe to enter. 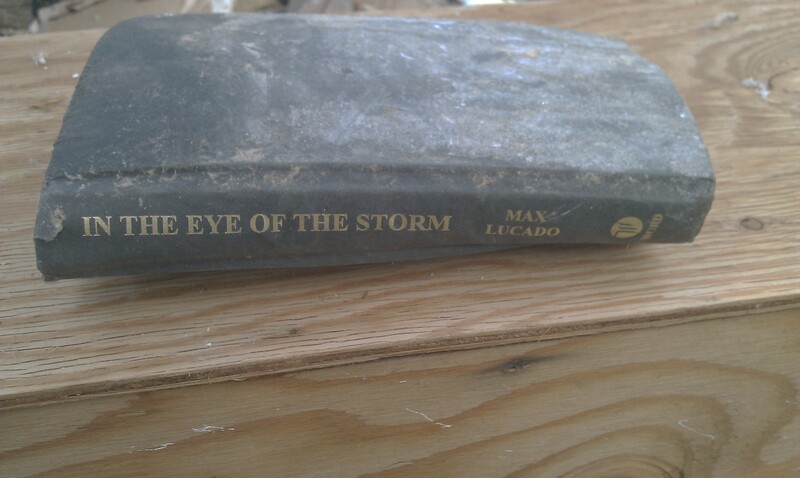 Our focus is the piles of debris on the outside. Here the work becomes intense. We are close to 100 degrees with no shade. 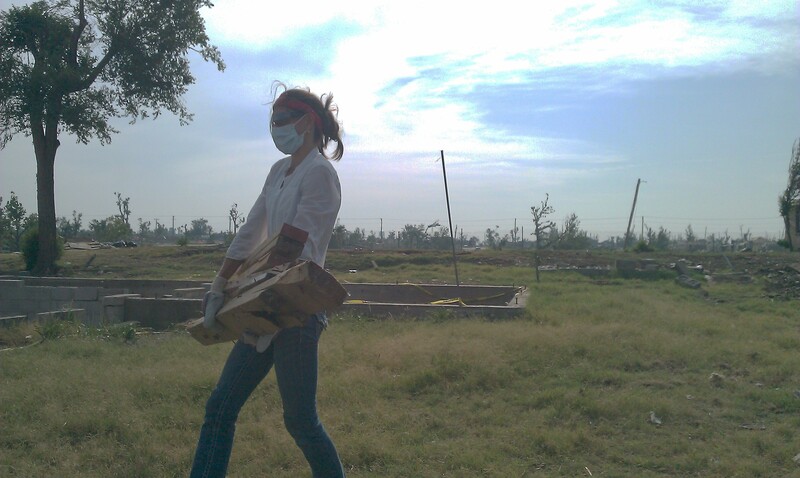 We are moving by hand wood beams with nails, pieces of drywall, insulation, and roofing. We quickly find the evidence of people lives, the personal items such as a bible, clothing, and housewares. The reality that people, and families once lived here hits. There was a normal way of life, comfort, home, and now those things are gone. As we work the respiratory masks make it hotter, and difficult to breathe but are needed due to the amount of dust & mold we are kicking up in the air as we move the rubble. Jamie is with Soma, and I admire her tenacity. A dedicated athlete who works out, and does triathlons. I endearingly call her a “beast.” She is relentless in her capabilities, and is nonstop from morning to evening. She and Damion help take care of everyone, and their needs. Great servants, and so thankful for them. I later learn of she knows my roommate, small world! We continue to work, we get to know each other better. We talk about the tornado a lot, the damage, the people, the community. Surprisingly, we don’t see any residents in the damaged area, only workers and volunteers. But it doesn’t take much to figure out why there are no residents from the area, the homes are gone…completely! The piles become scoop less scoops of debris and is everything is done by hand. We take breaks from the heat, drink lots of water, and continue plugging away at pile # 1. We finish the day, everyone is tired, and ready for a shower. The day has been brutal, however, we are all pleased with our efforts. As we eat dinner, I thank God for the opportunity to serve, the hot meal, the cot I am sleeping on and air conditioned church that we are staying. Some of the group plays card games, some read or journal. It will be an early night for me, I am beat. 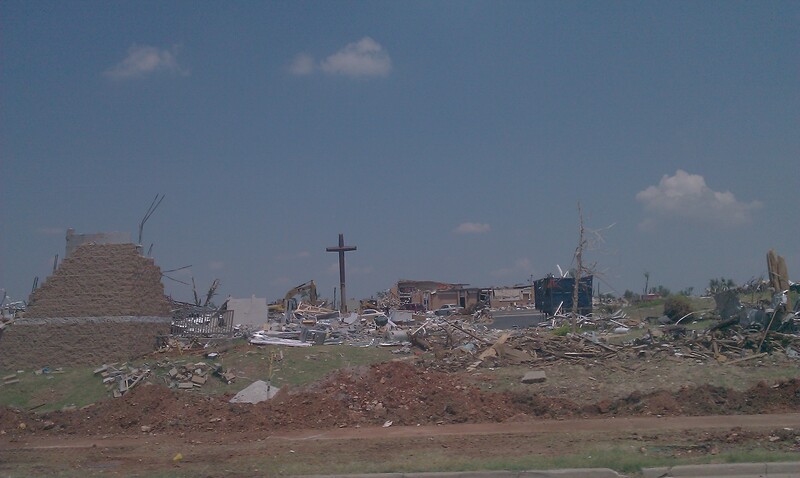 This entry was tagged F5 tornado recovery, Joplin Relief Trip, Joplin Tornado, Mystery Church, North Village Church, Restore Joplin, Soma Austin. Bookmark the permalink.